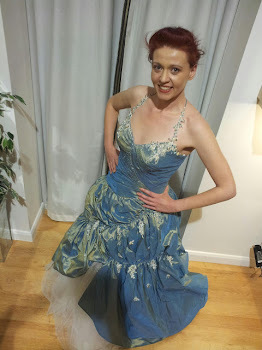 It has been a while since I indulged in one of 1940s Afternoon Tea dresses, the virtues of which have previously be extolled in this post "The best tom boy in disguise dress ever" this one comes with a classic Chinese dragon print. It is a lovely dress to finish the Chinese theme on, having gone full circle - starting and finishing with dragons. So it is afternoon tea dragons rather than soup dragons today. My Dad only drank Japanese and Chinese tea, formosa oolong, lapsang suchong, Jasmine, Rose Petal to name a few but the most memorable was green gunpowder. My Dad was a headmaster, he was the head of an all boys school in one of the more challenging schools. One day he got a phone call from the police, the school had been broken into (again) and they had got into his office trying to get to the vending machines on the corridors. The police were a little perplexed and had asked him to come to the school. Father arrived to find a pile of tea up against the door, with a trail heading towards his desk, behind his desk there was a pile of struck matches! As he said - they had to be clever enough to read "Green Gunpowder" know what gunpowder might do, and stupid enough to think you might keep it in a jar next to the kettle.